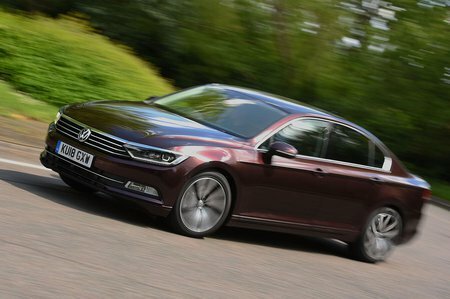 Volkswagen Passat 2.0 TDI SE Business 4dr 2019 Review | What Car? What Car? will save you at least £5,902, but our approved dealers could save you even more. SE Business is our favourite trim. You get LED headlights, comfort seats with greater adjustment, three-zone climate control, adaptive cruise control with automatic emergency braking, front and rear parking sensors, power-folding mirrors, tinted rear glass and in-built sat-nav. The gutsier 148bhp 2.0-litre diesel provides just what you need. It’s punchy enough to offer satisfying pace and easier overtaking, plus its willingness to pull from low revs makes it more relaxing to drive. So much so that, unless you're a real speed demon, it’s not worth paying the extra for the 188bhp version.